Endometriosis is a condition characterized by the displacement of endometrial cells that normally line the inside of the uterus. These tissue cells are regularly shed each month during menstruation. In endometriosis, these cells attach to tissue outside the uterus, most commonly on the ovaries, bowel, bladder or intestinal surface. According to Physicians Committee for Responsible Medicine, endometriosis affects approximately 5 to 10 percent of women during their reproductive years. Endometriosis may cause dysmenorrhea, excessive bleeding, painful urination, digestive distress and infertility. While there is no specific eating plan for endometriosis, following certain dietary guidelines can help you relieve symptoms and manage endometriosis. Regardless of the cause, endometriosis is fueled by estrogen. Without estrogen, cell production will slow, clumps will disintegrate and wither away. Therefore, nutrition for endometriosis includes dietary approaches that reduce estrogen. Following a healthy diet, eliminating problem foods and getting adequate exercise will help reduce your estrogen levels and regulate your hormone levels. In a study published in the July 2004 issue of "Human Reproduction," F. Parazzini and colleagues studied the relationship between diet and pelvic endometriosis. The results suggest that increased intakes of fruits and vegetables can lower the risk of endometriosis and that the intake of red meat, beef and ham increases this risk. 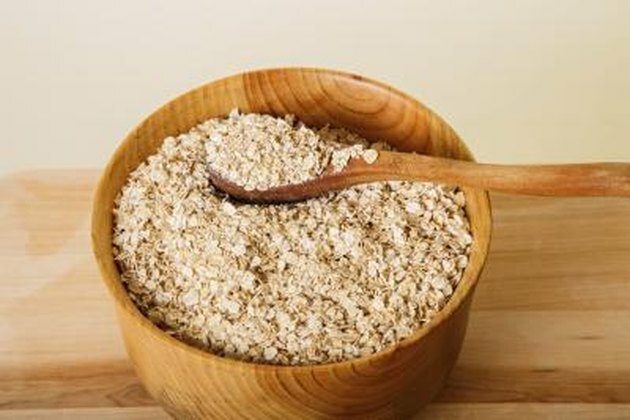 A diet rich in fiber aids in digestive health by improving bowel motility, increasing bulk and promoting regularity. During menstruation, fiber helps relieve gas and bloating as well as reduce the level of estrogen circulating in your body. Foods rich in fiber include fruit such as apples, berries, melon, pears and bananas; vegetables like broccoli, peas, spinach and artichokes; legumes including beans, peas and lentils; whole grains such as brown rice, oatmeal and cereal grains; and nuts like almonds, pistachios and walnuts. According to Physicians Committee for Responsible Medicine, women who consumed 14 or more servings of green vegetables per week had a 70 percent lower risk of endometriosis compared to those who at fewer than six servings per week. Prostaglandins are lipid compounds derived from fatty acids that send messages between cells. During menstruation, prostaglandins help the body break down endometrial cells for discharge. There are three different kinds of prostaglandins, PGE1, PGE2 and PGE2a. PGE1 helps soothe menstrual symptoms while PGE2 and PGE2a aggravate symptoms. Prostaglandin synthesis is affected by the food you eat. 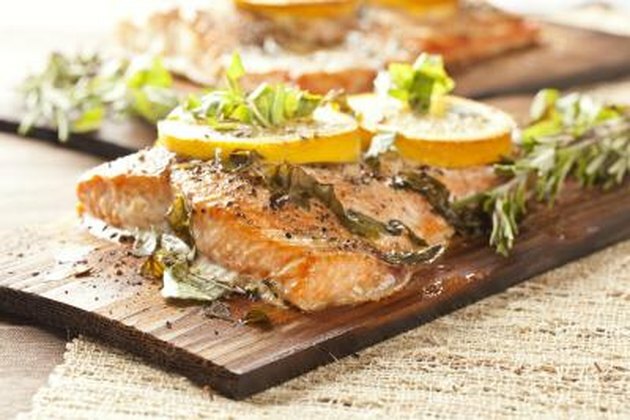 Omega-3 fatty acids are especially important if you suffer from endometriosis as they increase your body's production of PGE1, helping to manage painful symptoms. To increase your intake, choose fish such as mackerel, tuna, herring and trout; pumpkin seeds, walnuts and almonds; fermented soy products made from soybeans such as tofu and tempeh; and fortified products. 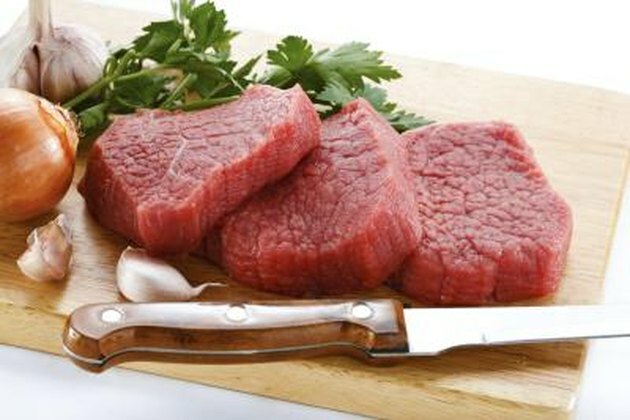 Meat and dairy products provide your body with calcium and protein, making them an important part of a healthy diet. These food groups stimulate the production of PGE2 and PGE2a, which aggravate endometrial and menstrual symptoms. You may therefore benefit from eating less of them if you have endometriosis. Dairy is known to stimulate the production of prostaglandins, causing worsening of your symptoms. It is important to find alternative sources of the nutrients in dairy to meet your daily needs. Consider increasing your consumption of dark leafy greens, seaweed, figs tofu, almonds, sesame seeds and fortified juices rich in calcium. 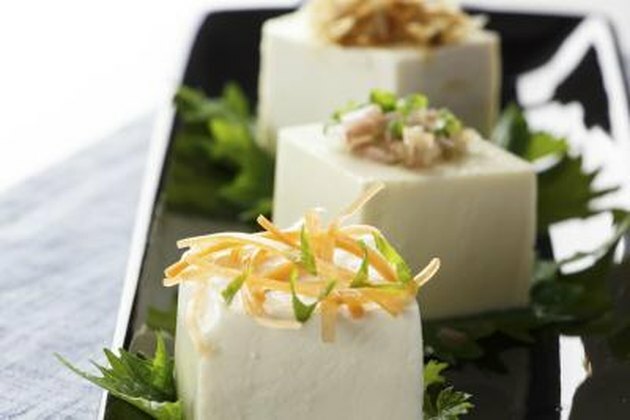 To ensure you are getting enough protein, eat plenty of tofu, fish, tempeh, nuts, seeds and beans. You should also avoid alcoholic beverages, caffeine, fried foods, refined sugars and saturated fats as they foods can aggravate or worsen endometrial symptoms. 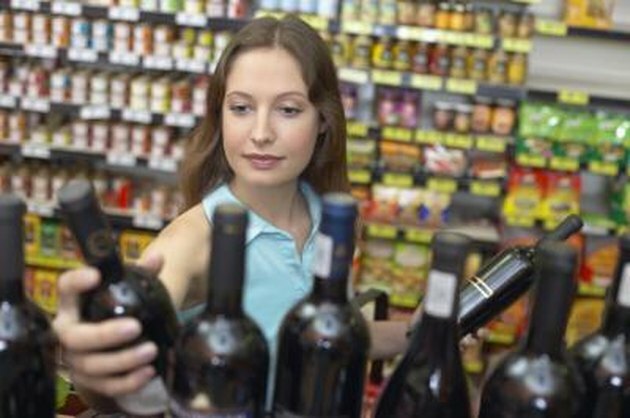 Women who drink alcohol appear to be at greater risk of endometriosis. Among women who experience infertility, the risk of endometriosis was 50 percent higher among women who drink alcohol compared to those who do not. According to the Harvard School of Public Health, women who consume two or more cups of caffeinated coffee, or four cups of caffeinated soft drinks, per day were found to be twice as likely to develop endometriosis.